My piece, “Ms Vreeland”, shown above, has been selected as part of Studio Montclair’s annual international juried exhibition, entitled “Viewpoints 2019”. The show runs from May 2, 2019 through June 15, 2019. More information to come! Looking forward to the opening reception on Saturday, May 4, 2019 from 7-9 pm, at Studio Montclair Gallery, 127 Bloomfield Avenue, Montclair, New Jersey. 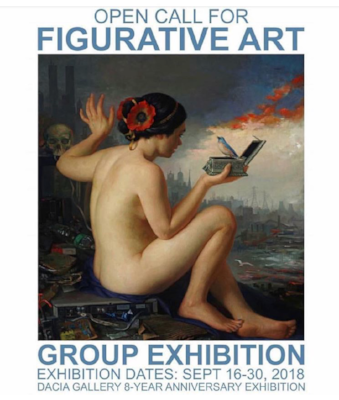 Dacia Gallery proudly presents “Figure, Fashion and Fame" a recent works Solo Exhibition by Amy Whitman. “My collection of pen and ink drawings represents the figure in a unique style and is inspired by the creative elements, fantasies and history of the fashion world. I have always adored and collected fashion magazines and folios and am fascinated with the creative ways in which they present and style the figure. In my work, patterning techniques and graphic shapes present in couture textiles come together to create larger images filled with color and detail. My figures are adorned with bright fabrics and whimsical headpieces. Famous people have always played a role in fashion and I have included some of my favorite historical figures and portrayed them with a contemporary twist. Inspiration also came from other artists I admire who have taught us to see the figure in new and original ways - Picasso, Klimt, Van Gogh, Basquiat, and more currently, Cindy Sherman and John Currin”. Amy Whitman is a mostly self taught artist and has spent her life pursuing her creative passions. After early careers as a kindergarten teacher and pediatric therapist, she studied art & design at Washington University in St. Louis, MO and the Visual Arts Center in Summit, NJ. Her rich artistic background includes work as a muralist and calligrapher. She was also a docent at the Contemporary Art Museum St. Louis and the Pulitzer Arts Foundation. Her work has been shown in juried exhibitions and is held by private collectors from the midwest to the east coast. Her work has also been featured for commercial use, most recently by the Montclair (NJ) Orchestra. Amy lives and works in Mountain Lakes, NJ. November 18, 2018 - 7:00 p.m.
Chiaroscuro. The Italian term for light and dark. Sometimes even life or death. From the dark depths of Ligeti and Shostakovich, to the moving beauty of Mahler’s Adagietto and the sunshine of Tchaikovsky’s Serenade for Strings, be moved by the drama of music. The Montclair Orchestra kicks off its second season with a Shakespeare-inspired concert on Sunday, September 30, 2018. Amy's original drawing, "Musical Shakespeare", will be gracing the program cover and on display for the performance. September 30, 2018 - 7:00 p.m.
Come visit the worlds of Shakespeare through music! The season opener includes favorite masterworks as well as lesser known Shakespeare-based pieces, interwoven with spoken passages from local actors. One of Amy's portraits, "Bob", was chosen for the Dacia Gallery's Eight Year Anniversary Figurative Group Exhibition, beginning September 16, 2018. An Opening Reception will be on September 20, 2018. The Dacia Gallery is located in New York City's Lower East Side, at 53 Stanton Street. Studio Montclair and The Creativity Caravan present the exhibit, “Art Lotto,” an artist-based, community-oriented portrait show. The exhibit will be on view from September 15 through November 10, 2018 at the Studio Montclair Gallery, 127 Bloomfield Avenue, Montclair, NJ. An opening reception will be held on Saturday, September 15 from 7 to 9pm. 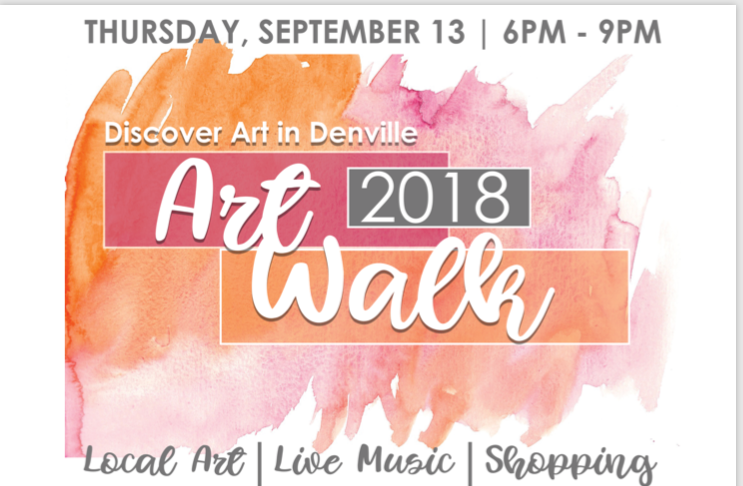 I will be one of the featured artists at the first Denville Art Walk, in partnership with local businesses. Amy's work will be on display at the Washington Square Outdoor Art Exhibit, in the West Village of Manhattan, the weekend after Labor Day, 2018 (September 8 and 9). This sidewalk show is located on University Place, starting at East 13th Street and continuing north along the east side of Washington Square Park to West 3rd Street. This show, begun in 1931 during the depths of the Great Depression, is a great tradition in the heart of Greenwich Village, on the NYU campus. Come out and see Amy's work in person! We will be at location AW08. Her work was awarded the Patricia J. Wynne Award for Pen & Ink by the curator, William L. Coleman. This show runs from July 23, 2018 through August 3, 2018, with a closing reception that Friday night. Amy's portraits in paper will be featured as the first Elm+Art display at the End of Elm restaurant in Morristown, New Jersey, USA, beginning on July 21, 2018. Come out to the Meet the Artist event on Wednesday August 1, 2018, from 6-9 pm!